Patriotic! Another one, Patriot has added yet another vehicle to their fleet. This design has worked great on tall, short, and long vehicles. Patriot Heating A/C and Plumbing believes in both supporting our country, and delivering the best product, that’s why they fully rely on top-of-the-line quality equipment and parts that are exclusively American engineered. This means you get the best equipment, with the best warranties, at the best price – while supporting American jobs. 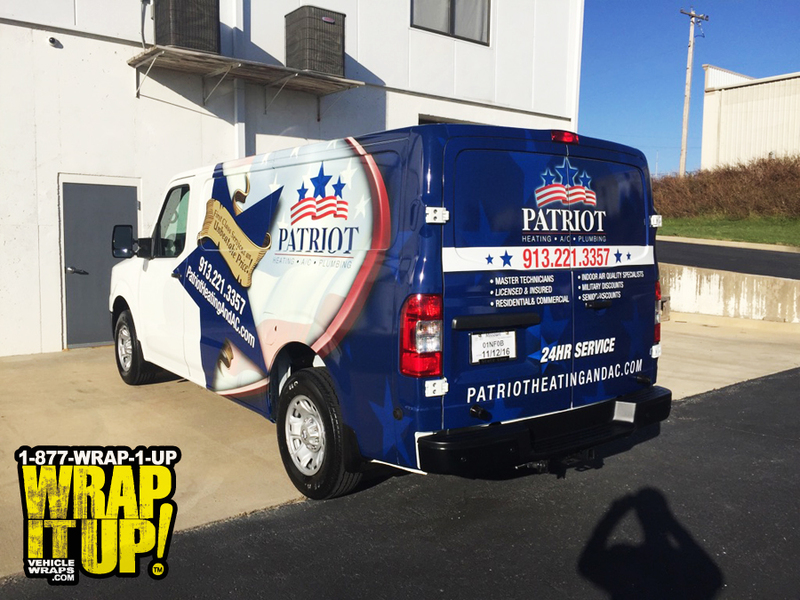 If you are looking for the best products with even better service make sure you give our Friends at Patriot a call. Thanks Patriot!